WooCommerce is a widely popular platform that offers you the possibility to sell online and boost your sales percentages. The reason why so many people use it is because it offers full control over your eCommerce website, it’s affordable, it’s flexible on design themes and there are thousands of available plugins and extensions that help expand the functionality of your online shop within an accessible price range. Just like any other eCommerce platform out there, WooCommerce is not flawless, however there are plenty of solutions for the pitfalls that most people encounter. Let’s take a closer look into the typical challenges that both the business owners and users face when interacting with WooCommerce and also the solutions to handle things more efficiently. Hard navigation – your site needs to be clean, clear and offer an easy user interface experience. Most business owners or eCommerce managers face some difficulties on their side of things as well, such as too much manual work in the back-end to add data, not handling the inventory control and report that well, cybersecurity, site speed, compatibility with other software, site visibility and search engine optimization and scaling. 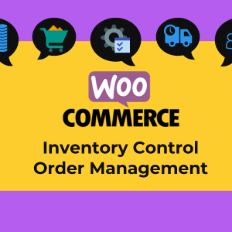 One of the most problematic tasks is handling order management, however in WooCommerce this is easy to handle and quite self-explanatory. Everything is controlled in the admin panel under the Orders tab. Here you can see the status of the order, the details, you can perform various actions such as mark the order (complete, pending, processing, completed, refunded, cancelled, failed), you can edit the billing and shipping details and you can manually add an order too. • “WooCommerce Stock Manager – open source software that allows you to control every aspect of your inventory and orders. Click here for download and more information about this. • ATUM – great plugin to manage your inventory. Here you can find more information. • Zoho Inventory System – helps you sync your inventory. • EMERGE app – control your products, orders and shipping. • Integrate your point of sale with WooCommerce – Woo POS. Keeping up with the online shopping world can be a challenge for business owners, however nowadays this is slowly turning into a must. Multi-channel selling is a combination of your brick-and-mortar shop, catalog and internet activity that can help you boost your sales and help you build your brand in the online world. Selling your products in a public marketplace such as eBay or Amazon can definitely put you on the map and bring you nice returns. A common question for business owners is “How much do I have to invest in this?” and the good news is that this feature is not pricey, however you need to spend money to make money. Some of the most affordable and reliable plugins to guide you on getting started on multi-channel selling are WooCommerce Marketplace, WP Lister and Veeqo. They help you keep control over your inventory and orders. If you want to learn more about how your online shop can improve and become more efficient, please contact our experts and they will find the best solution for your website!